New video CMS & workflows for BBC News. Castaway is the UI that journalists see when creating, publishing and tagging video at BBC News. Castaway however, is only the tip of the iceberg in BBC News' new video workflow - internally know as News Video Pipeline - designed to speed up the publication of video. An absolute must in a breaking news organisation where who gets the video of the news event up first, wins. As such, the Castaway project was less about creating the interface, but more about understanding and mapping workflows and how video is published in an organisation of 6000 journalists spread across the world. Added to this complexity is the extensive suite of current internal tools that are in use - as well as the often dense rules around editorial compliance, embargoes, advertising etc. A complicated piece of work that we still managed to condense in to a radically simple interface that relies on trimming away the fat, sensibly integrating with other systems and good defaults to cut down on cognitive load and make publishing lightning fast. Although there was a thorough technical understanding of how the product would work, there was wide-spread confusion about what actually happens in the day-to-day when journalists publish video, with several teams doing slightly different things, existing hacks to counter the limitations of the old system and a number of different entry points to the system depending of ones role in the organisation. As a result, I set out to map and understand the different flows through extensive shadowing and testing. 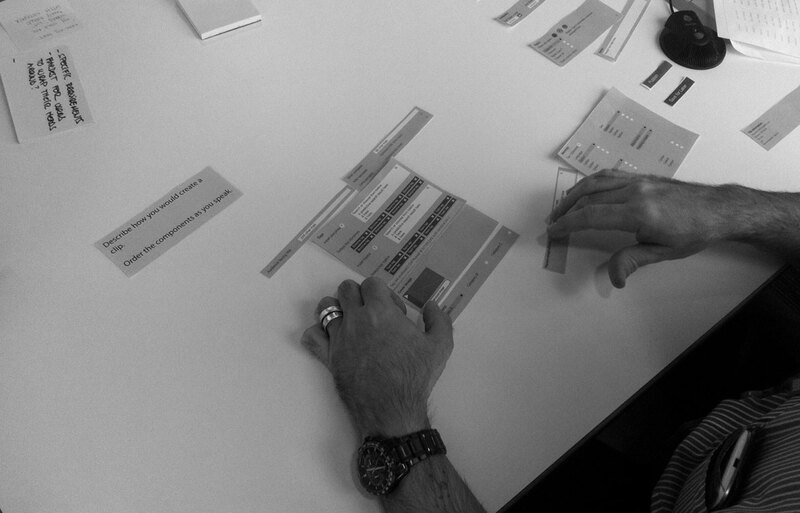 Co-creating with an editor to understand core functionality, sensible defaults and natural hierarchy of information.